Everything, I loved the fact that our bedroom was right next to the pool which made it so peaceful hearing the water fountain. It was clean and spacious and had everything needed to cook our own meal. The fridge was stocked with just the right amount of milk for our morning coffees. And the staff were amazing and helped with everything we needed especially the cleaning staff, we accidentally dropped our rubbish over the floor and one of the guys came straight over to us and helped us pick it all up. Helpful friendly staff, clean and comfortable. 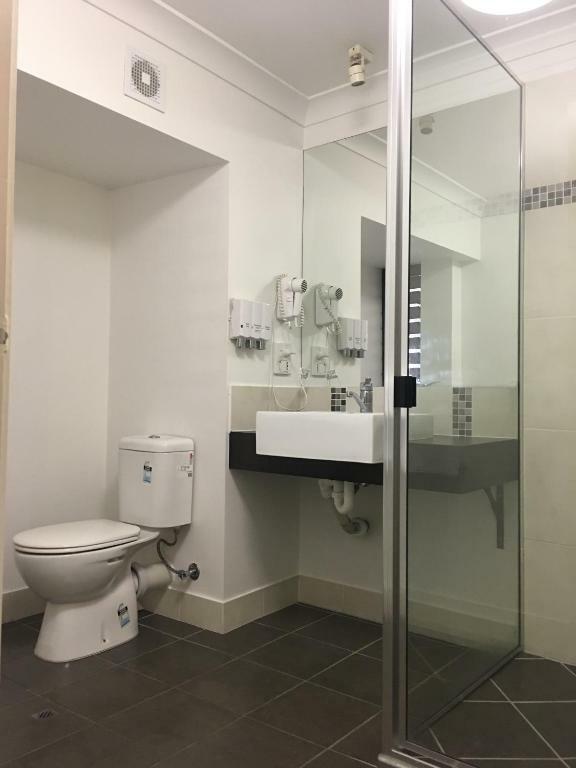 Large new bathroom and spacious rooms. 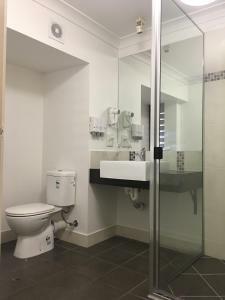 overall atmosphere of the bay village apartment was good connectivity to city was good taxi booking and staff nature was helpful. 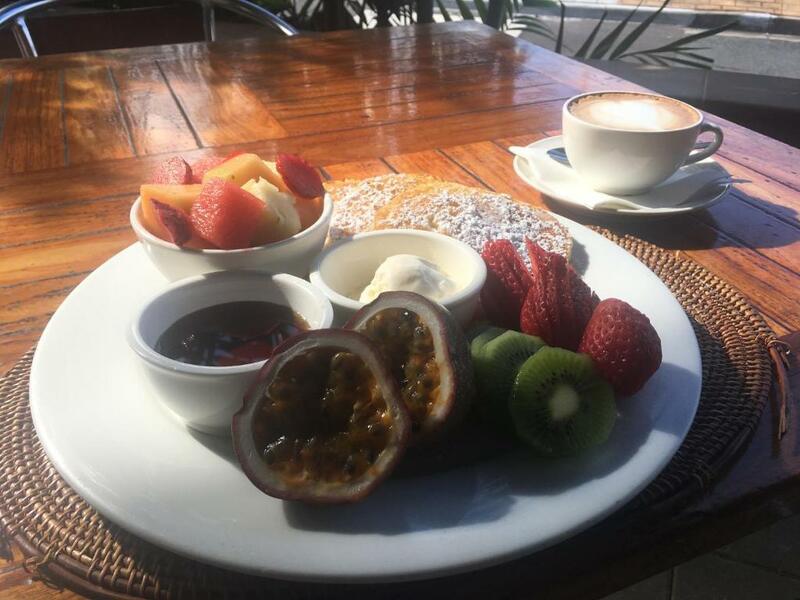 I like the atmosphere the staff the location the ambience the pool area and swim towels I liked having the restaurant close for breakfast, coffee and happy hour drinks. The staff accommodated our needs efficiently and politely. So far it has always been a good experience. Will come again. This hotel was a lovely surprise, by far the best location and value in Cairns, very peaceful, lovely dining and a big plus, " it is very close to the Base Hospital "
The location, rooms, surroundings and staff were excellent. I'd recommend the 2 bedroom apartments to anyone. The staff were very helpful. I would def recommend this property. Lovely place. Great staff. Clean, beautiful hotel. Great location. Car parking facility good. Room upgrade appreciated. 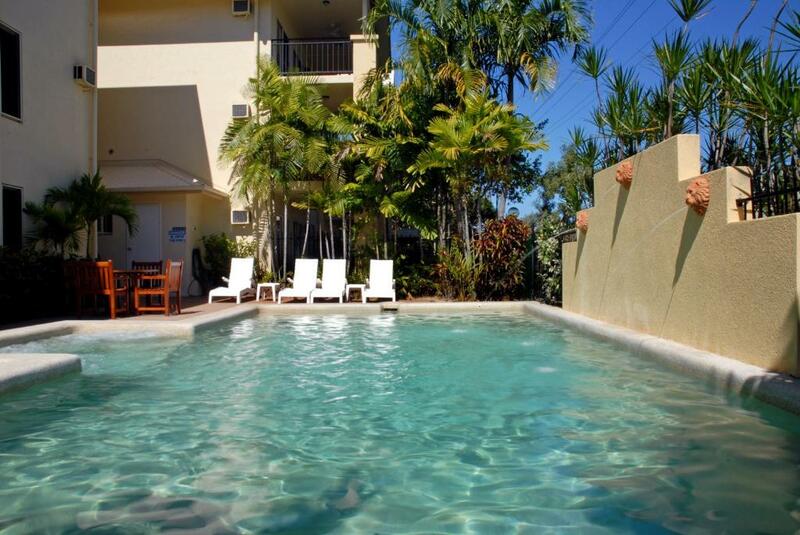 Lock in a great price for Bay Village Tropical Retreat & Apartments – rated 8.1 by recent guests! Bay Village Tropical Retreat & Apartments This rating is a reflection of how the property compares to the industry standard when it comes to price, facilities and services available. It's based on a self-evaluation by the property. Use this rating to help choose your stay! 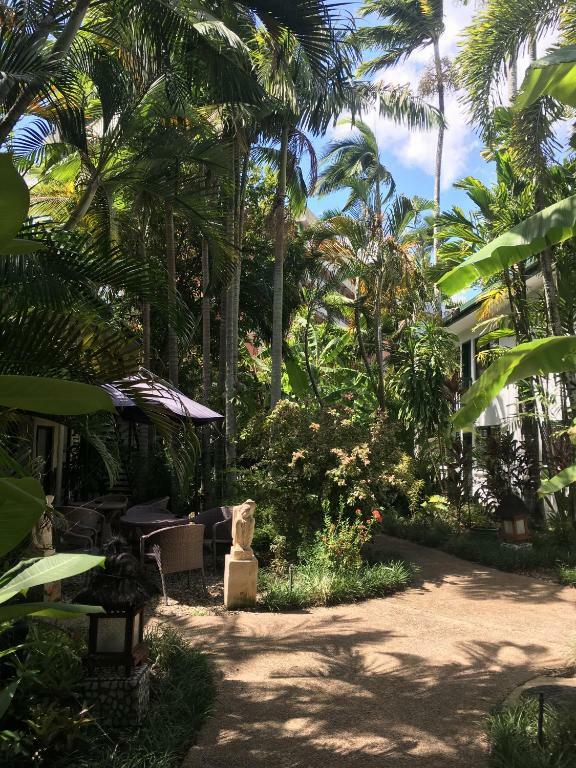 Bay Village Tropical Retreat is located just 3 minutes’ walk from the Cairns Esplanade and 10 minutes’ walk from the city center. It features an outdoor swimming pool and unlimited free WiFi in all rooms and reception area. 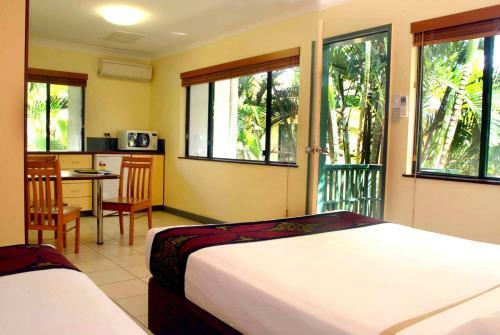 Rooms are nestled among tropical lush gardens. Each features a private bathroom and TV. Some rooms offer self-catering facilities and private balconies. 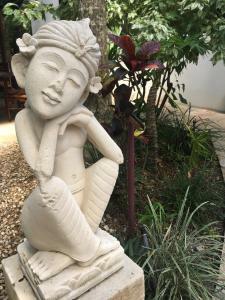 The Bayleaf Balinese Restaurant and Bar serves sumptuous cuisine throughout the day. Cairns Airport is located just 10 minutes’ drive from the Bay Village Retreat. When would you like to stay at Bay Village Tropical Retreat & Apartments? 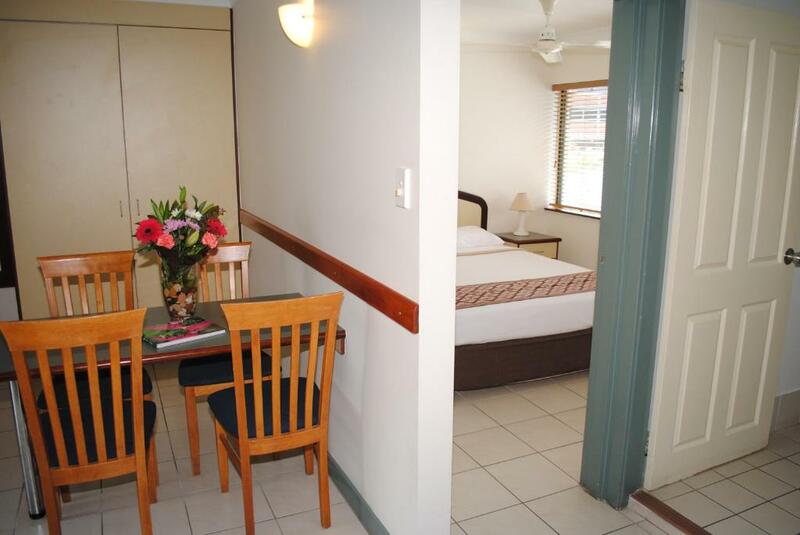 All rooms have private bathrooms, individual air conditioning, ceiling fans and tea/coffee making facilities. This studio includes a kitchenette with microwave. This self-contained suite has a separate living room and a kitchenette. 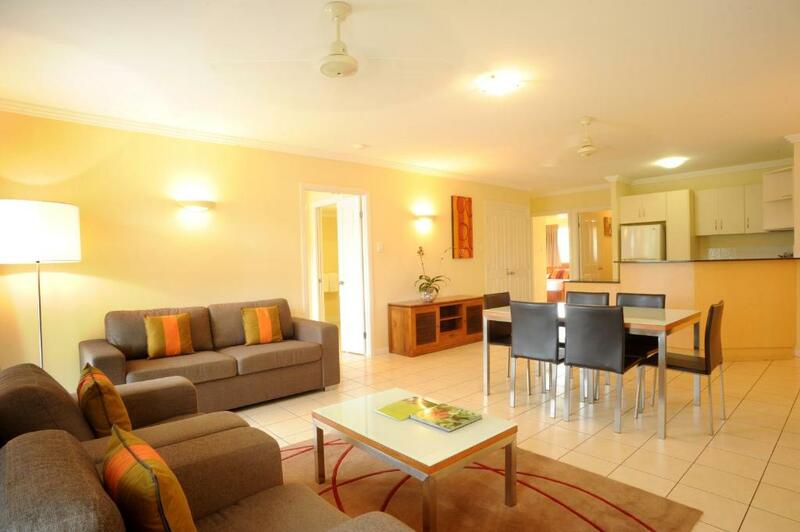 This apartment has 2 bathrooms, a private balcony and full kitchen and laundry facilities. Please note that there is a housekeeping service provided for bookings longer than 3 nights. This apartment features a seating area, toaster and air conditioning. This apartment has a flat-screen TV, tile/marble floor and toaster. We take the time to look after our guests and all their concerns. Being only a medium-sized property, we like to get to know our guests and make them feel welcome and at home throughout their stay. The Bay Village is on the fringe of the CBD, only a short walk along the waterfront to the city centre. We are only 300 meters away from the beachfront walkway The Esplanade which leads into town, and is adorned with a diversity of sporting activities, playgrounds, complementary BBQs, history information boards and seasonally changing art projects. The swimming pool The Lagoon is only 15 minutes away by foot and offers a relaxed atmosphere right by the sea shore. Weekly it also hosts the very popular 'Mud Markets'. A variety of convenience shops is located within the same block of the hotel, and a bus stop is positioned outside our restaurant. House Rules Bay Village Tropical Retreat & Apartments takes special requests – add in the next step! Debit card Bay Village Tropical Retreat &amp; Apartments accepts these cards and reserves the right to temporarily hold an amount prior to arrival. Bay Village Tropical Retreat & Apartments accepts these cards and reserves the right to temporarily hold an amount prior to arrival. Please note that there is a 1.51% charge when you pay with a Visa or Mastercard credit card. Please note, payment via Alipay and WeChat Pay is available. Please contact the property for further information. The WiFi kept on dropping out from where our room was situated and we were wrongly charged for breakfast by the restaurant staff. This was eventually sorted out and we didn't end up paying. Not very private as the main sleeping and living area faced onto a public walkway and blinds had to be kept closed at all times. No private seating area. Would have preferred a balcony to sit quietly in the evenings. Room smelt very musty at the start. As it was bucketting down with rain most of the time, the tiled floors felt quite slippery. Laundry next door so was quite noisy. No ironing facility in the room. Ordered room service and one of the items was missing. No natural light in the room without compromising privacy. Onsite restaurant and bar was very good although stuffed up room service order on one occasion. There was no oven in the 2 bedroom apartment kitchen. It’s not a big deal but would be nice. They gave us a room near the reception desk and walkway from the car park. Too noisy at all times. Would not stay in that room again. Nice clean room, close to the airport, which we wanted as flying out early the next day. Staff are absolutely lovely. So friendly and accommodating! I'm 75 & found climbing up to the third floors tiring but booking on the internet without the choice speaking to someone a little disappointed but other than that is was far better than a motel. I loved the setting and proximity to the Esplanade.